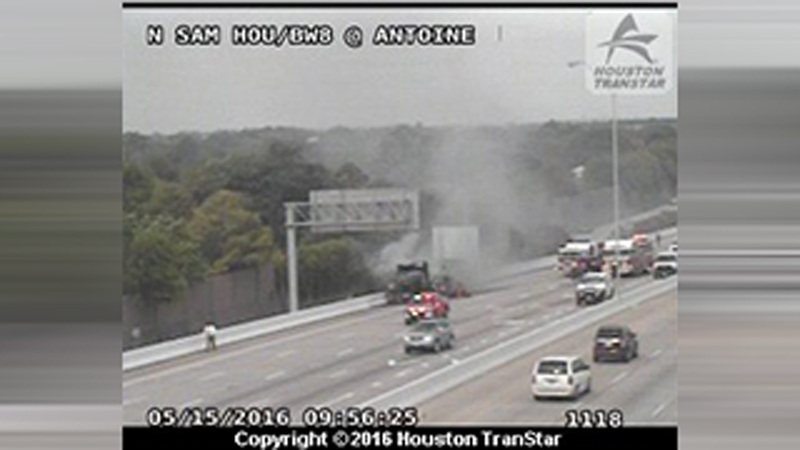 HOUSTON (KTRK) -- A bus fire has blocked multiple lanes of the North Sam Houston Tollway eastbound at Antoine. The Harris County Sheriff's Office says a bus became fully engulfed in flames around 9:30 this morning. All the passengers on the bus were able to get out safely, according to deputies. Traffic is getting by in the far left lane, but it is causing a backup as emergency crews work to clear the scene.